Presenting James Downing Book Now a Vice President for Silicon Valley Bank’s UK Branch. With a strong background in financial services for technology businesses and has devoted much of his career to the innovation sector. Responsible for business development; liaising with businesses, venture capital and private equity firms, and corporate venturing partners. 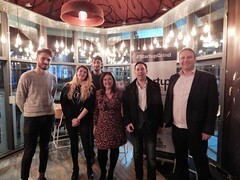 Startups Meeting to be Inspired, Educated and Connected. Our speaker In his role with Silicon Valley Bank, James is responsible for business development; liaising with businesses, venture capital and private equity firms, and corporate venturing partners. James focuses on delivering financial services and debt solutions to growth-stage businesses, while helping them succeed with introductions to the wider tech ecosystem. Prior to joining Silicon Valley Bank, James served as a director at Barclays Bank where he focused on portfolio management and debt origination for businesses in the technology, media and telecommunications sector. 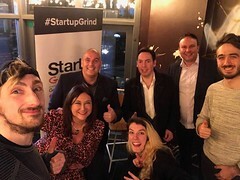 Startup Grind’s mission is to educate, inspire, and connect — ultimately helping every entrepreneur in the world. We want to do the type of work we are proud of. We want to produce work that helps others, even if it’s only in a small way. 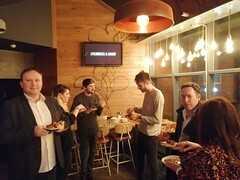 Startup Grind is the world’s largest independent startup community, actively educating, inspiring, and connecting 2,000,000 entrepreneurs in over 500 cities. We nurture startup ecosystems in 150 countries through events, media, and partnerships with organizations like Google for Entrepreneurs. The cornerstone of our global community are monthly events featuring successful local founders, innovators, educators and investors who share lessons learned on the road to building great companies. Founded in Silicon Valley, Startup Grind has now hosted 5,000 fireside chats since its founding in 2010. 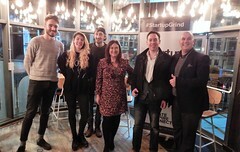 To date, Startup Grind has helped millions of entrepreneurs find mentoring, connect to partners and hiring, pursue funding, and reach new users.